Convenient to all amenities, ski in ski out. Free bus transport to local villages. If you do posh don’t bother. However fantastic value. Apartment had all the necessary facilities. Bit squashy but great for family of 4. Brilliant location with snow at our doorstep. Supermarket bars pizzas crepes all on doorstep. Beautiful views across mountains and quiet at night. For a cheapy family ski holiday I would highly recommend. Great location, just by the slopes. 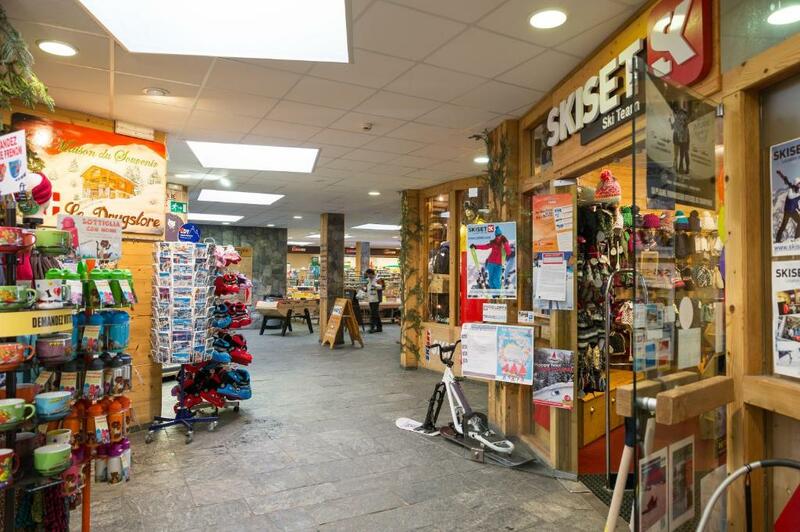 Everything you needed was on hand (supermarket, ski hire, cash point, restaurants, pistes, chairlifts, cable car to Belle Plagne) Free access to outdoor pool was an unexpected perk. While the apartment was small it was well planned out with plenty of room for storage. One of the better sized P&V appartments with good storage. Supermarket and other shops handy. Classic accommodation in the heart of the ski resort. Everything you need is in the building - shops, restaurants, bars, clubs, ski rentals etc. Was very easy and convenient ! 4 ski lifts in a few steps distance. Amazing panoramic view (for 65 euro extra) and very warm rooms. We were 4 adults and one toddler and the space was just enough. We had great time ! A small but affordable apartment in a decent location for accessing the slopes. the location was excellent, right in the centre of things!!! and had very good on site facilities shops downstairs ect. 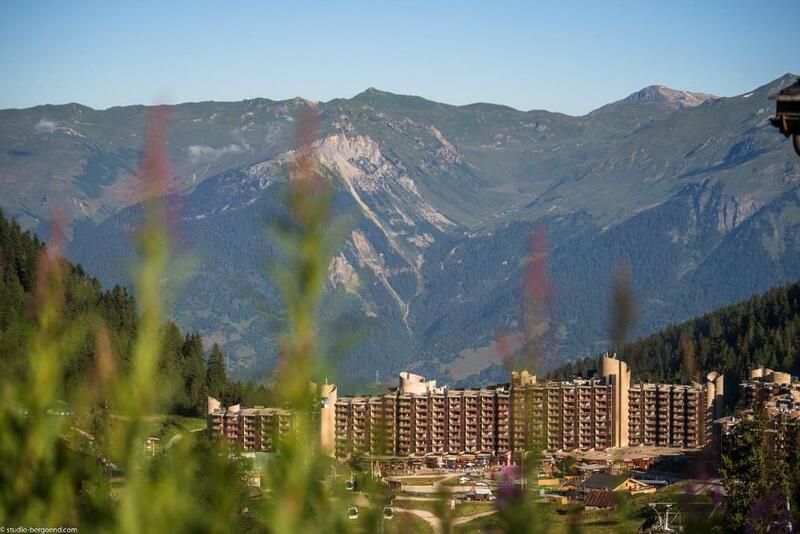 Located in Plagne Bellecôte Ski Resort, Résidence Pierre & Vacances Bellecôte offers accommodations with ski-to-door access. 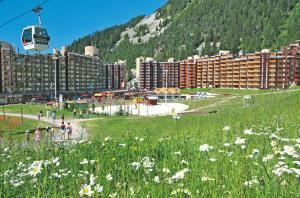 Several ski elevators including Arpette, Belle Plagne and Les Blanchets are available within 1,650 feet. All apartments offer a balcony and a seating area with a flat-screen TV. 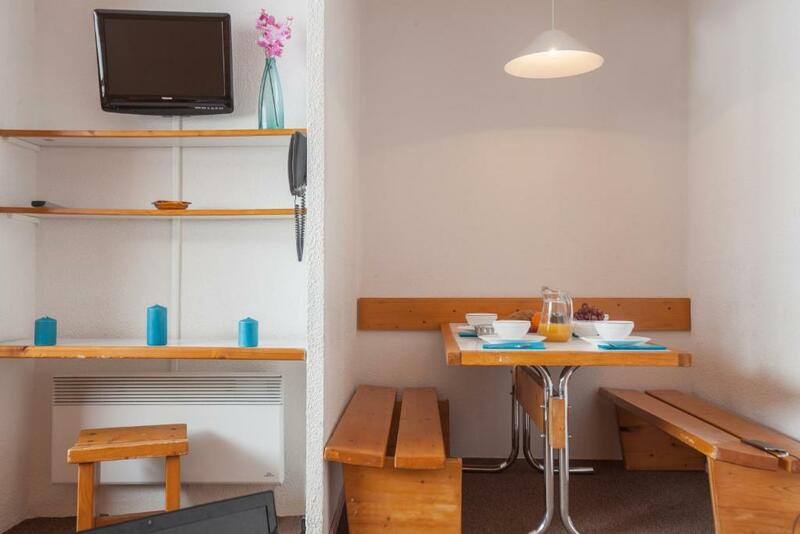 The fully equipped kitchenette includes a microwave, a dishwasher and a coffee machine. The private bathroom is fitted with a bath or a shower. Amenities including shops, a cinema, restaurants and bars are available within 800 feet of the property. The resort offers a public swimming pool, located a 3-minute walk from the property. 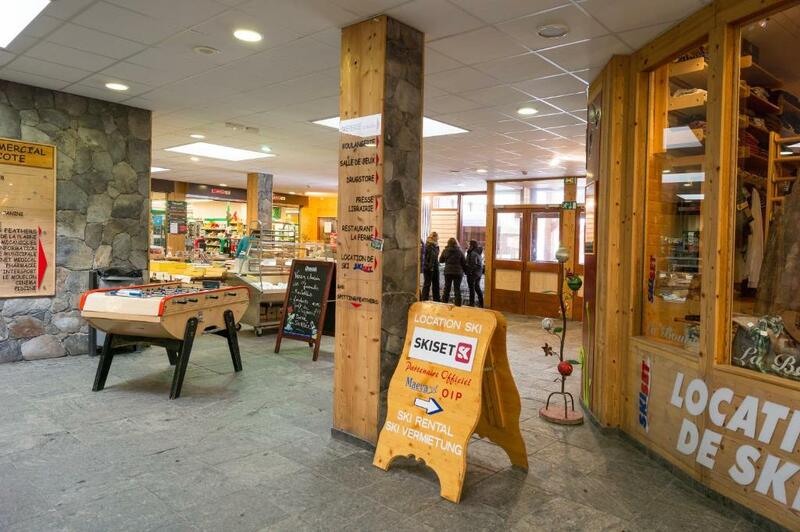 Aime-La-Plagne Train Station is a 29-minute drive from Résidence Pierre & Vacances Bellecôte, while Moûtiers - Salins - Brides-les-Bains Train Station is a 43-minute drive away. This property is also rated for the best value in Plagne Bellecote! Guests are getting more for their money when compared to other properties in this city. When would you like to stay at Résidence Pierre & Vacances Bellecôte? Offering a balcony, this apartment features a living area, an equipped kitchenette and a private bathroom. Sleeping in the top bunk is not suitable for children under 6 years old. Public parking is available at a location nearby (reservation is not needed) and costs EUR 60 per week. 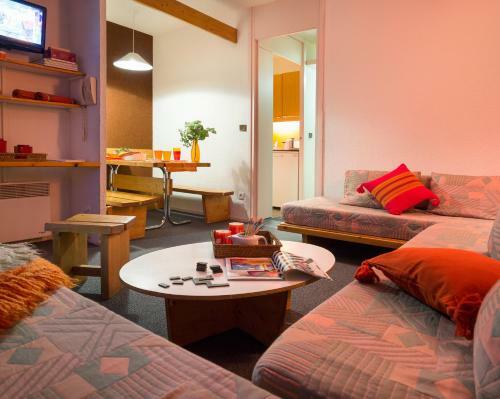 This apartment features a balcony, an equipped kitchenette and a private bathroom. 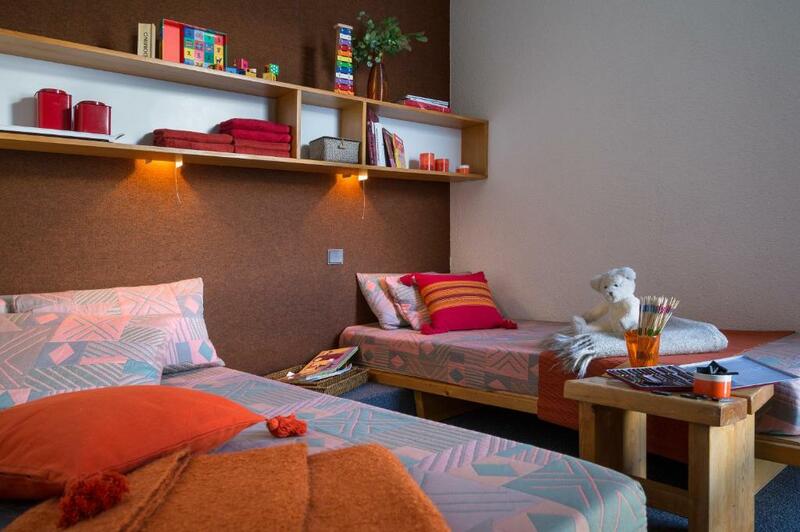 House Rules Résidence Pierre & Vacances Bellecôte takes special requests – add in the next step! Other Résidence Pierre &amp; Vacances Bellecôte accepts these cards and reserves the right to temporarily hold an amount prior to arrival. Résidence Pierre & Vacances Bellecôte accepts these cards and reserves the right to temporarily hold an amount prior to arrival. Monday to Friday: 9:00 - 12:00 and 16:00 - 19:00. Monday to Thursday: 8:30 - 12:00 and 16:00 - 20:00. Friday: 8:30 - 12:00 and 16:00 nonstop until Monday morning. If you expect to arrive outside of these hours please contact the reception in advance. Contact details can be found on the booking confirmation. The price includes accommodations, bed linen and a TV. Please note that for stays of 7 nights or more, a EUR 45 end-of-stay cleaning fee is not included in the price. You can choose to pay the fee or clean the accommodations yourself. Please note that the end-of-stay cleaning service excludes the kitchen area and the dishes. All guests must clean these before leaving. Please note that for short stays (1 to 6 nights) the cleaning service at the end of the stay (except kitchen area and washing up) is also included. At an extra cost, you may request to reserve the exact location of your accommodations by calling the residence. Contact details can be found on the booking confirmation. A baby kit suitable for children under 2 years old and weighing less than 15 kg is available with an extra fee. The kit includes: 1 cot and fitted sheets, 1 high chair (subject to availability). Public parking costs EUR 49 per week for outdoor parking and EUR 59 per week for covered parking (maximum height 6.2 feet). It can either be reserved online or purchased at the car park upon arrival. Beds were low so as an seasoned skier my knees complained. The bins being emptied - a prolonged and noisy process - just outside our window every morning from 6 or 7am, even 5.30am on Sunday. Cleaning the kitchen and bringing sheets downstairs should be included in the cleaning charge. Beds could have been more comfortable ! We were three adults in a five person appartment - would have been a squash with more. Paid extra to get front appt with view of slopes. Unfortunately this meant we were also over bars and restaurants so very noisy during the night/early hours. There was quite a steep climb to get to the three chairlifts near the appartments. Reasonably efficient but not overly welcoming reception. 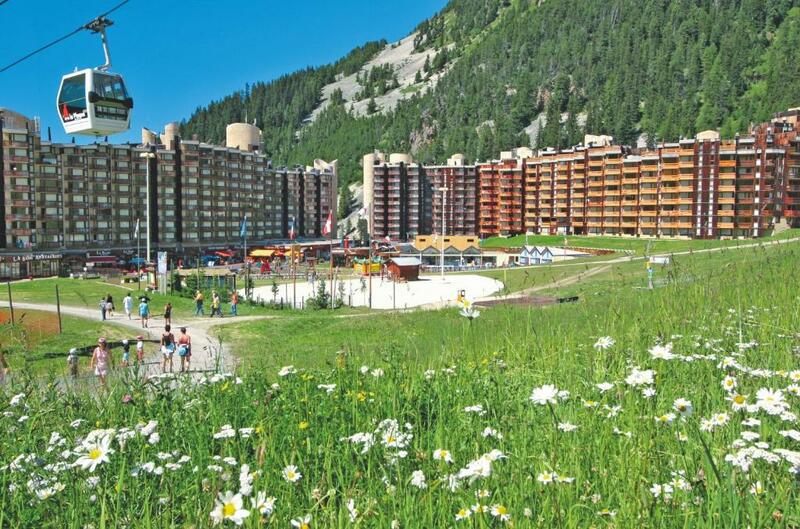 Plagne Bellecote complex not particularly well serviced by shops and restaurants. the accommodation was pretty basic said slept 5 but was quite small, sofa beds were not proper beds! Not enough linen/towels provided (similar previous experience with P&V, and no change throughout stay! ), we had to ask to be given bed linen (and even then for the first night they only provided enough for 2 beds although we told reception we were 4, next morning had to go ask again..). Beds actually small sofas. TV tiny. Local rules expect you to carry the linen/towels yourself at the end of stay to the laundry/reception. For the price you'd expect a bit better service. Dated decor, poor WiFi, poor selection of tv channels, no kettle, had to make up own beds and strip beds etc. Towels were tiny for my large hubby!! They have a nightclub in the basement, before arriving we requested our apartment to be in the upper levels to avoid noise. They placed us on the 6th floor which was great as we didn't hear the club, however, we were in the worst apartment (622) due to early morning deliveries directly outside our apartment around 6.40am. Men unloading pallet trucks and talking loudly - this is not what we asked for, the staff must be made aware of this when placing families with young children. The rooms were very clean and warm. The Spar located at the bottom of the apartments made it very convenient to obtain groceries. The Staff were very helpful, polite and spoke good English. Easy access to ski lifts and a great slope for beginners including a ski travelator.